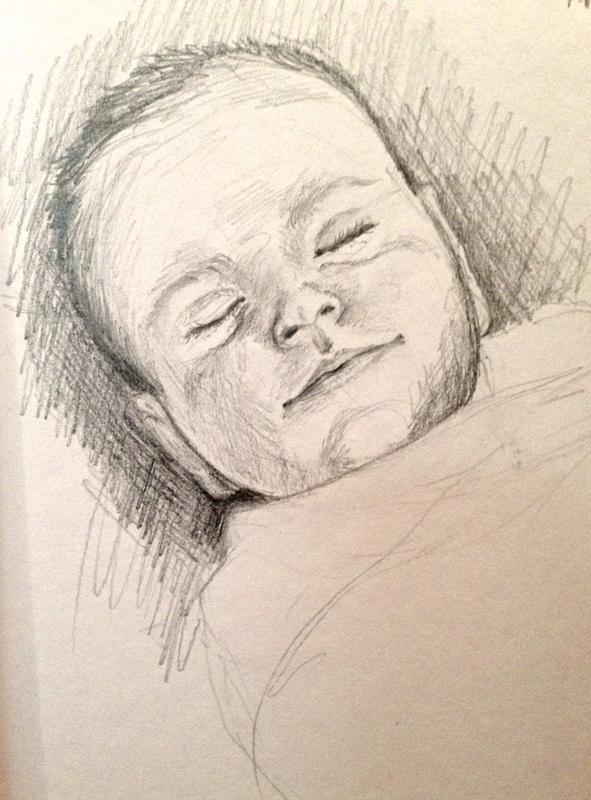 The only time that I can get a quick life drawing of my daughter, Norah. I love it. You daughter is so fortunate to have artists for a Mother and a Grandmother. It’s such a wonderful gift to be able to express yourself so creatively. She’s solo beautiful! Even in graphite! When she is older, she will appreciate having this picture…so lovingly made. Just wanted to let you know that Kaitlin is supposed to be on The Chew today (it’s on ABC from 1 to 2pm Eastern time). Thank you all! I have a new sketch book that will have only drawings of her. 😉 Hopefully I will always have time to do at least one a month!